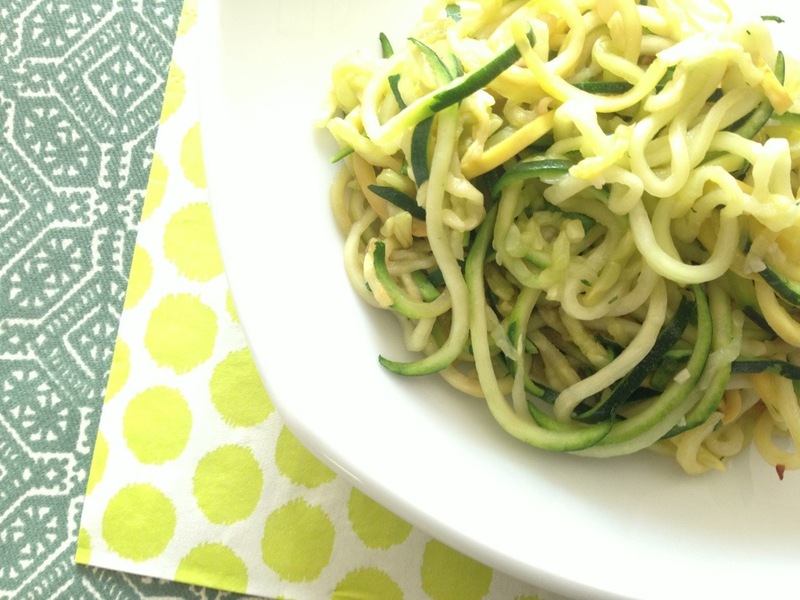 Check out my favorite new kitchen tool, the Spiralizer! 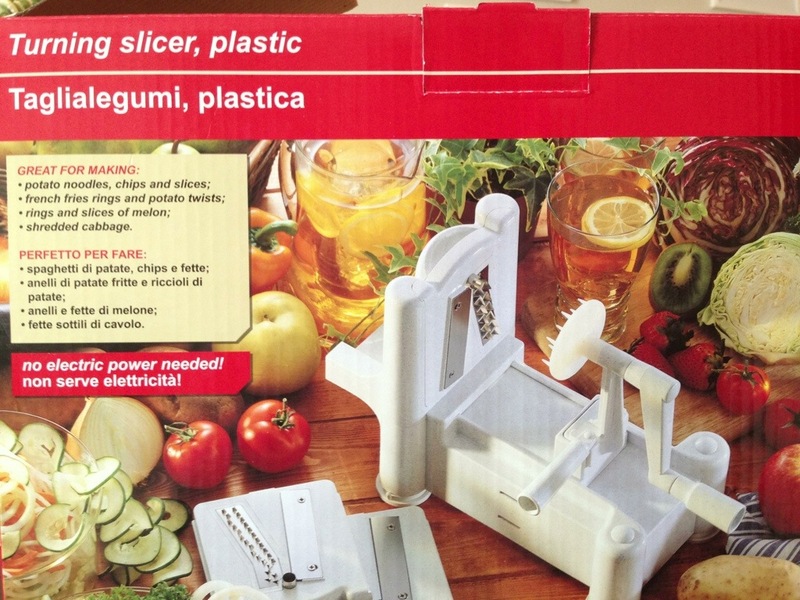 This gadget set me back $34.99 on amazon.com, but it’s well worth it for the sweet potato curly fries and zucchini noodles I can make with it! 1. 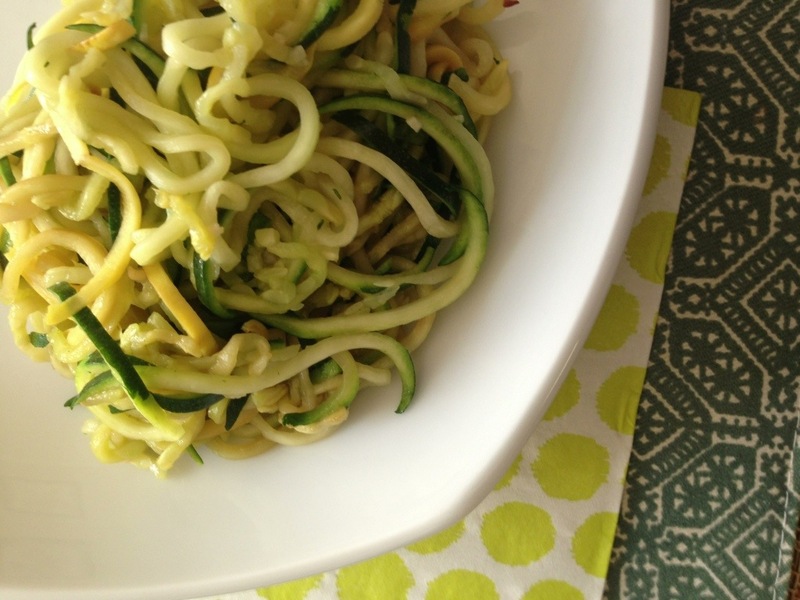 Sprinkle the zucchini spirals or shreds with salt and toss to coat evenly. Allow to rest in a colander for 15-20 mins to get excess moisture out. Soak up the moisture with paper towels and squeeze gently. 2. Heat olive oil in a pan and sauté the garlic briefly. Add the zucchini shreds and sauté for about 2 minutes. 3. Serve with your favorite sauce or sprinkle with toasted almond meal! I brought these to a potluck at work today and am happy to say they reheat well! I have the same spiralizer!! My family is sick of pic messages of veggies spiralized in different ways, haha!